Being a seasoned traveller by airplane, I have my packing down to a tee. 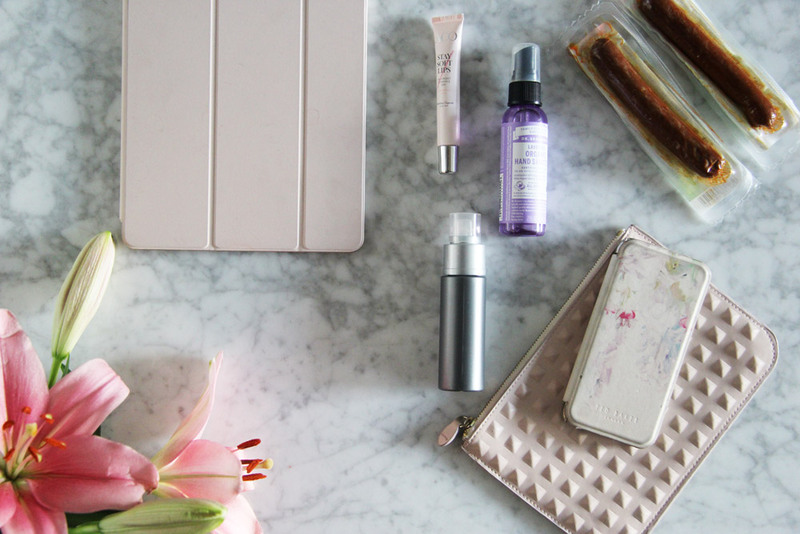 These are the 12 travel essentials that I have in my handbag during a flight. Earplugs – I can’t live without these, perfect to drown out the noise from the airplane, from engines to screaming children, essential to get a few hours of shut eye so one can arrive a bit more alert at the destination. Inflatable neck-rest – for longer flights, I like to have this around my neck to try and get at least a few hours of sleep. Spare battery for my iPhone – even though I always bring my charger in my handbag to carry on, you never know where you can end up when you are out flying around the world. So I always bring a spare external battery for my phone, just in case. iPad – instead of lugging around magazines and books, as well as taking notes and doing a bit fo writing on the plane if I feel inspired. Sleep mask – a must for me so I can try to sleep on longer flights. Protein bars or sausages – I always stock up om these for my hand bags as there are so many times limited vegan food options available either on a flight or at the Gothenburg airport. Hand sanitiser – without this I would go insane! I must have clean hands and try to keep all those germs at bay from various terminals, transportation and areas. Face mist – since the air is so try on the plane, I’ve started to bring a face mist that I actually got as a sample a while back, and it refreshes and plumps up the skin and reduces those dry lines that my make-up can create around my eyes when its dried out. Scarf – to wrap around myself if (or when rather) I get cold. A small bag – for my passport, wallet, chargers, spare battery and other small things. Lip balm – my lips tend to try out from the air, so I can’t be without on a flight. Earphones – to listen to music or watch a movie.